Fish at Cecil M. Harden Lake (aka Raccoon Lake) will have more habitat thanks to a $1,500 grant from the Reservoir Fisheries Habitat Partnership and King Enterprises. 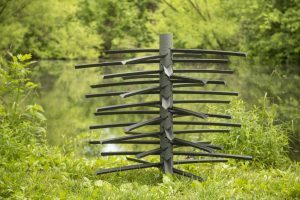 The grant will pay for Mossback Fish Habitat structures that simulate trees and aquatic vegetation with natural colors, textured surfaces and flexible limbs. Cecil M. Harden Lake lacks natural habitat. The Mossback structures are very “fishable” and will last a lifetime. DNR staff will place them around the fishing pier, near the beach, this winter. 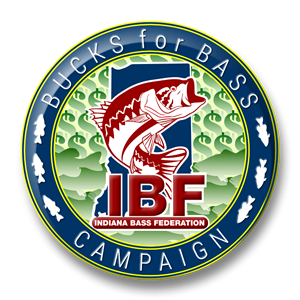 Grant recipients were the DNR Division of Fish & Wildlife and two of its biggest partners in aquatic habitat development, the Indiana Bass Federation and Bass Unlimited. The grant coincides with efforts to improve habitat at Cecil M. Harden Lake through a new DNR Fish & Wildlife initiative called the Reservoir Aquatic Habitat Enhancement Program (RAHEP). RAHEP volunteers and DNR staff are building additional structures during a workday on Nov. 4, from 9 a.m. to 3 p.m. at the DNR office in Raccoon State Recreation Area. Volunteers should dress for working outside and bring snacks and water, protective eyewear, gloves and cordless drills. 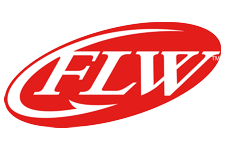 Reservoir Fisheries Habitat Partnership is a national organization to promote the conservation of habitat for fish and other aquatic species in reservoirs. King Enterprises manufactures Mossback Fish Habitat structures.